Clubiona caucasica Mikhailov & Otto, 2017 has been described from the Caucasus in Mikhailov et al. (2017). Apparently all former records of Clubiona caerulescens from the Caucasus actually belong to this new species and C. caerulescens does not occur in the Caucasus Ecoregion. 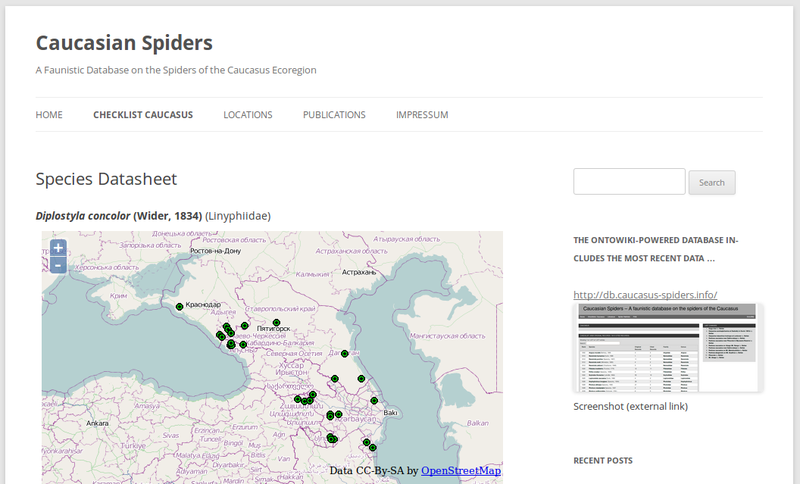 Visit the species page of Clubiona caucasica on caucasus-spiders.info. Dieser Beitrag wurde am August 26, 2017 von Stefan in Uncategorized veröffentlicht. 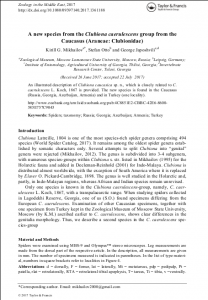 Schlagworte: Caucasus, Clubiona caucasica, Georgian Spiders, spiders, taxonomy. Chimghisklde Ridge in Assa Valley (Khevsureti) – with alpine scree as the habitat of the new species. 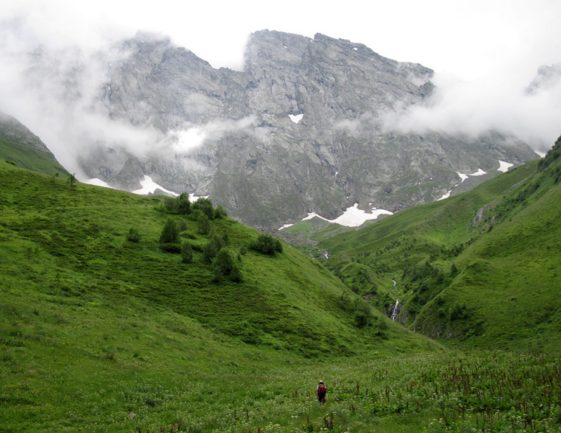 Abstract: The new species, Incestophantes shetekaurii sp.n., is described from the high mountains of the Caucasus Major (Georgia, 2500 m a.s.l.). This new species is similar to the European-West Siberian I. crucifer (Menge, 1866) and to the Crimean I. australis Gnelitsa, 2009, but differs noticeably in the details of the genitalia in both sexes. The generic position of Bolyphantes lagodekhensis (Tanasevitch, 1990), and its differences to I. shetekaurii sp.n., is briefly discussed and illustrated. Dieser Beitrag wurde am März 19, 2015 von Stefan in New Publication, Research veröffentlicht. 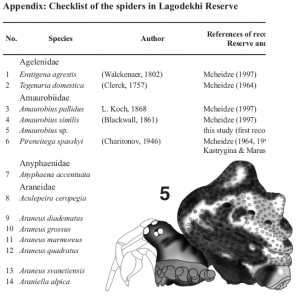 Schlagworte: Caucasus, Incestophantes shetekaurii, spiders, study, taxonomy.